Simplified map of Astrapi, depicting only Federacy lands, and Tessera. The Czazco Federacy is the union of the coastal nation of Astrapi in the Thunderrealm. With its 12 members, it is under constant war against the Skargard Kingdom. Despite being under attack without end, the federacy could keep strong thanks to the support of the inlanders of Astrapi. 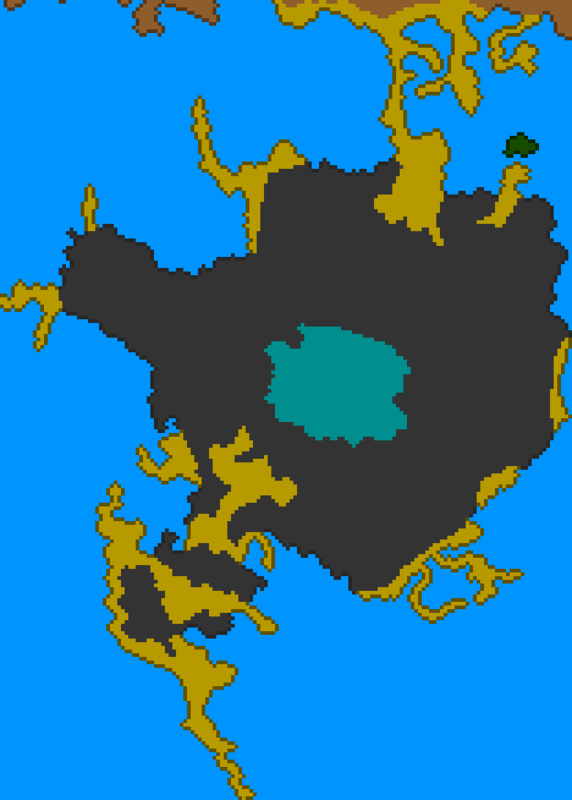 They protect the only inland connection with the Forsaken Plateau from the endless hostility of the Forgotten Ones. A tribal nation occupying a long bay, at the enter of which a small island is also belong to them; they claim the island is the remains of a gigantic shark they idolize, considering it an "executor of the Thundergod". The capital city of the Federacy, Enca is found here; the majority of the mountain covered region belongs to this city. The biggest land of southern Astrapi, housing the strongest Chazco soldiers, which is dedicated to protect the Guildland. Eremas Chazco,founder of the Federacy.